The U.S. News and World report just published a special edition magazine titled “How To Live To Be 100” which describes the healthy lifestyle choices that individuals can make to age well and not decline into frailty. 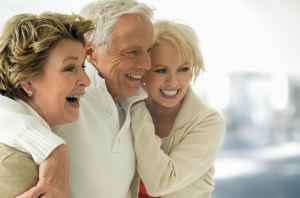 As the first baby boomers are approaching 65 and the “age wave” will continue, there are many who can live happy and healthy for many, many years. Along with eating right, exercising, keeping your brain sharp and expanding your horizons, staying connected and avoiding loneliness was one of the top prescriptions cited for living to be a still vital centenarian. As the owner of Silver Connections, I have seen the positive impact that socializing, spending time with others and making new friends can have on those 55+, all who are single and the majority who live alone. Why did you choose to study loneliness? We want to understand what importance our social connections have to people’s biology. Early in human history, our species’ survival required the protection of families and tribes. Isolation meant death. The painful feeling known as loneliness is a prompt to reconnect to others. You say that social isolation has an impact on health comparable to high blood pressure, obesity, lack of exercise, or smoking. Can you explain? Loneliness shows up in measurements of stress hormones, immune function, and cardiovascular function. Lonely adults consume more alcohol and get less exercise than those who are not lonely. Their diet is higher in fat, their sleep is less efficient, and they report more daytime fatigue. Loneliness also disrupts the regulation of cellular processes deep within the body, predisposing us to premature aging. You point out that, oddly enough, loneliness also makes us less socially adept. How? Lonely adults have the same social skills as non lonely adults, but they don’t deploy them as appropriately. We think that lonely individuals feel threatened, and because of that feeling of threat, they’re not certain they can trust others. When you see something positive happening to others, you’re not sure if you’re included, so you’re aloof, demanding, or critical. Is the solution to surround ourselves with people? Loneliness isn’t necessarily a result of being alone. Think about a bereaved spouse and the college freshman going away from home for the first time. They can be around a lot of people but feel completely isolated. In humans, perceived isolation is so much more important than physical isolation. People who go to church regularly live longer than nonchurchgoers. Why is that? Churches can be very beneficial—one can feel connected to the group, the church, and to God. Those are actually different things, but both seem to have beneficial effect. How can each of us manage our own feelings of loneliness? Just like hunger and thirst and pain, loneliness signals something important for the survival of your genes—the need for connection to other individuals. A loneliness response might tell you to pass up that promotion that requires that you rip yourself away from friends and family and move to another country. Or if you do move, you’ll know you have to say, OK, I will set up a system to maintain and restore those relationships. When it comes to friendships, some people think that in order to be less lonely, everybody has to like them. That’s not true. It takes just one, two, or three people. You say it is vitally important to connect with others, but each person has his or her own comfort level with those connections. How does that work? Humans have a need to be affirmed up close and personal. We also have a need for a wider circle of friends and family, but we all know that close family connections can be a mixed blessing. And there’s a need to feel that we belong to a larger group. Many of us tend to ignore the collective part of social connection until there is an insult or threat. An example is how, right after 9/11, Americans felt very close to one another. There was a harmony and helpfulness that was really quite surprising. One thing vigorous 100-year-olds tend to have in common is that they have long cultivated connections with friends and community. So, join a group. Call an old friend. Find love. When all is said and done, the best guarantee of a long and healthy life may truly be the connections we have with others.